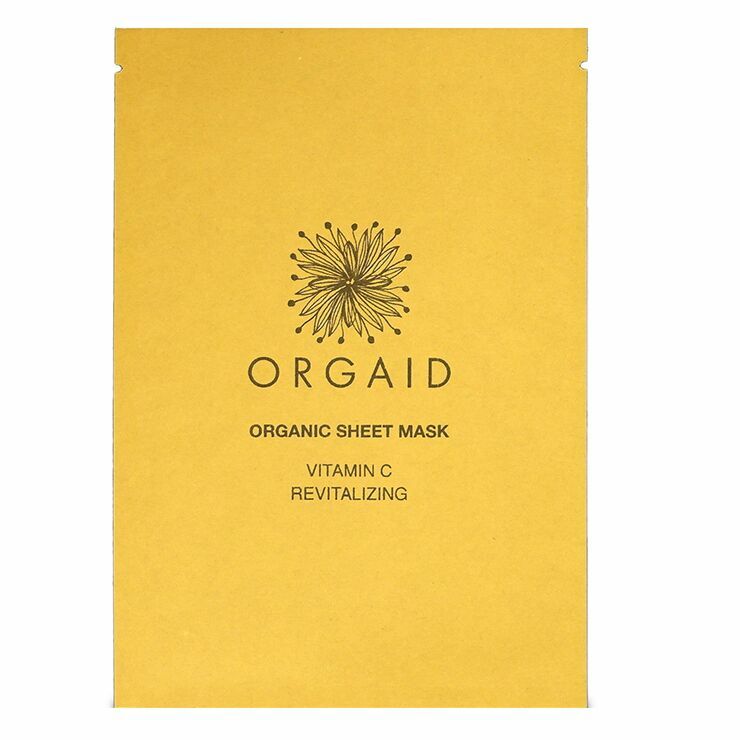 Orgaid Vitamin C & Revitalizing Organic Sheet Mask improves the look of dull, lifeless skin. Vitamin C diminishes the appearance of dark spots and sun damage, and gives a brightened look to the complexion. Orange peel and pomegranate boost the look of firmer, more youthful skin, while rosehip lends a silky smooth feel. 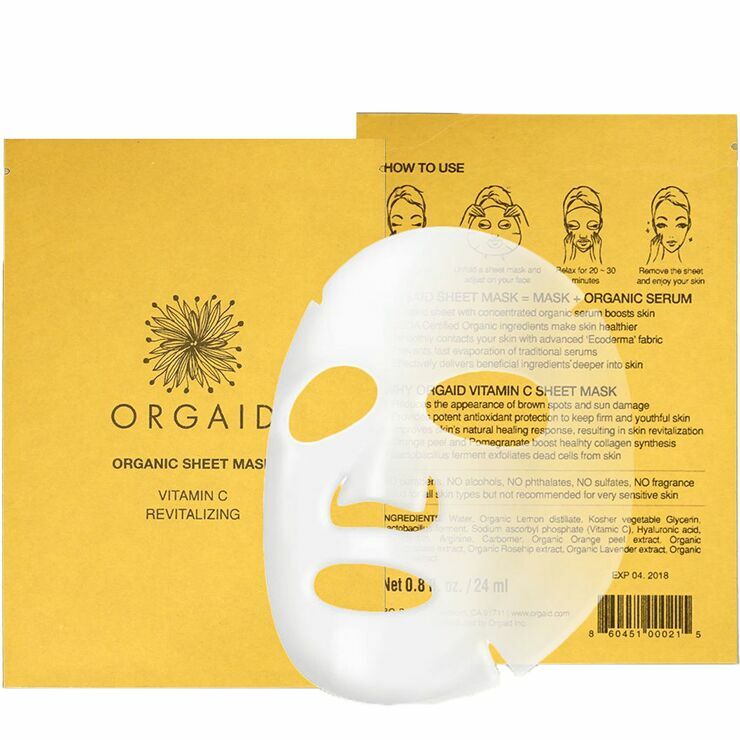 Apply Vitamin C sheet mask to clean skin and relax for 20-30 minutes. Remove the mask. Use regularly to make skin look bright, healthy, and revitalized.